Diabetes is referred to as Diabetes Mellitus. It is a group of diseases which are caused by changes in how the body uses blood sugar. Blood sugar (glucose) is vital in the body. The cells use it to produce energy and the excess is converted into carbohydrates and stored within the body tissues. The hormone responsible for the regulation of blood sugar in the body is insulin. This hormone is produced by the Pancreas, a small organ located behind the stomach. There are three main types of Diabetes. Type 1 Diabetes is caused by the failure of the pancreas to produce insulin in the body. This type of Diabetes is less common. WHO statistics show that only 10% of those diagnosed with Diabetes fall under type 1 Diabetes. Since the insulin hormone is the one responsible for controlling the rate of glucose metabolism within the cells, the lack of it causes the level of glucose concentration in the blood to rise above normal. This high concentration of blood sugar is detrimental to the body and may lead to further complications. The second type of Diabetes is Type 2 Diabetes. This is caused by the lack of insulin in the body or the inability of the cells to respond to insulin. This is the most prevalent type. Statistics indicate that 90% of those diagnosed with Diabetes have this type of Diabetes. The third type of Diabetes is Gestational Diabetes. This type is not common and can only affect expectant women. During pregnancy, blood sugar level tends to rise. The failure of the production of enough insulin to counteract this high sugar level causes this type of Diabetes. Expectant women are, therefore, advised to frequently visit prenatal clinics and have blood sugar tests alongside other vital tests performed at this stage of gestation. 3. Ketone presence in the urine- Ketones are toxic chemicals produced by the body cells when they break down muscle and fat in an effort to produce enough energy for the body. It is always necessary to see a doctor when these signs manifest. It may not necessarily be Diabetes but early diagnosis of Diabetes is important as it increases the possibility of successful management. Diabetes is caused by the lack of insulin in the body, production of less than enough insulin in the body or the development of cell resistance towards insulin. The exact cause of the failure of the pancreas to secrete enough insulin is not well known. Despite this, there are certain lifestyle practices which have been identified to be prevalent among people who are diagnosed with Diabetes. These include obesity, lack of physical exercise and wrong diet choices. People who have Diabetes experience several health complications. One of these complications is the development of heart diseases (Cardiovascular diseases). These include stroke, high blood pressure, and chest pains. 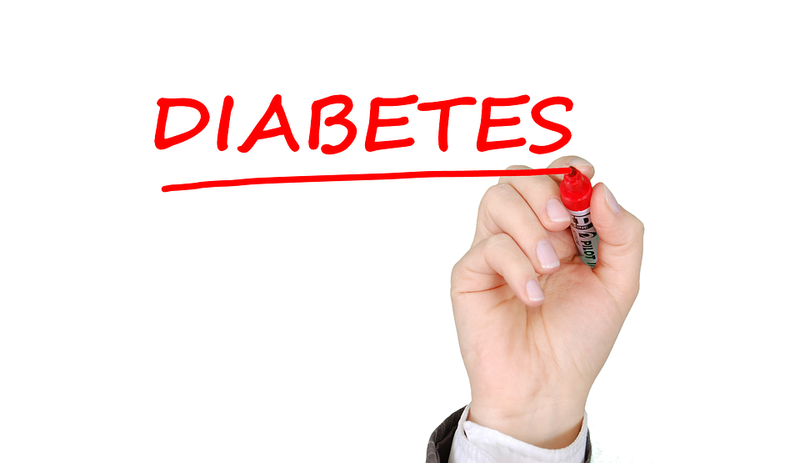 Diabetes can also affect the nerves leading to numbness and tingling of the feet and hands. The excess blood sugar may also contribute to kidney diseases and in some cases a complete kidney failure which may raise the need for kidney dialysis. Eye damage and vision complications are also common among diabetic patients. Poor blood circulation may lead to foot damage and various skin complications.